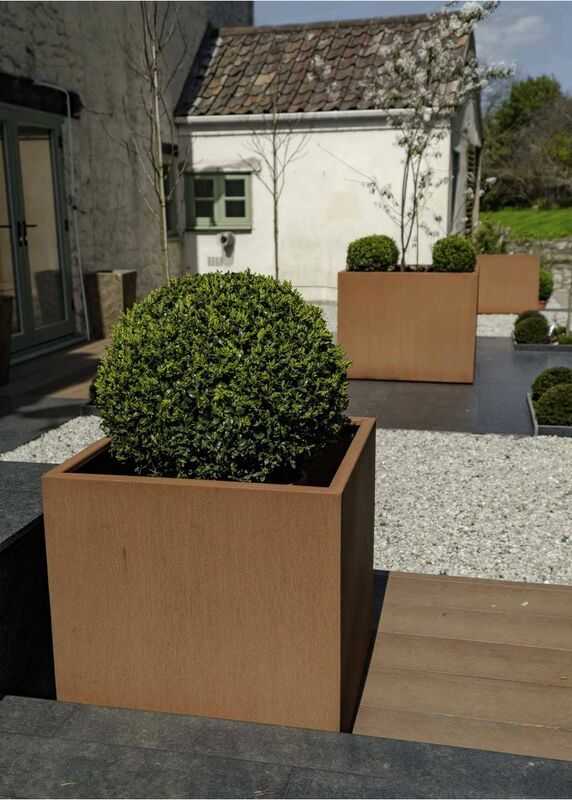 Corten steel planters have many benefits, both aesthetic and practical. 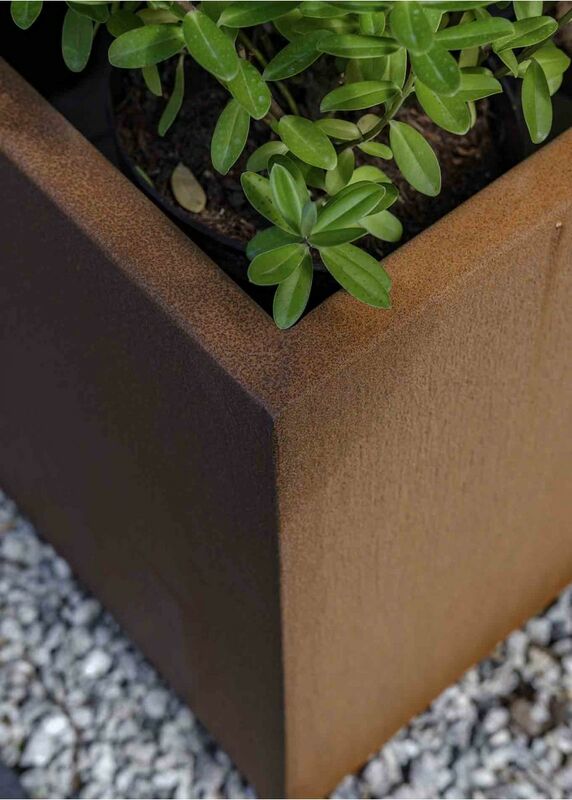 They have an industrial feel but are not harsh or cold, and their beautiful coppery tones add depth and contrast to a scheme. 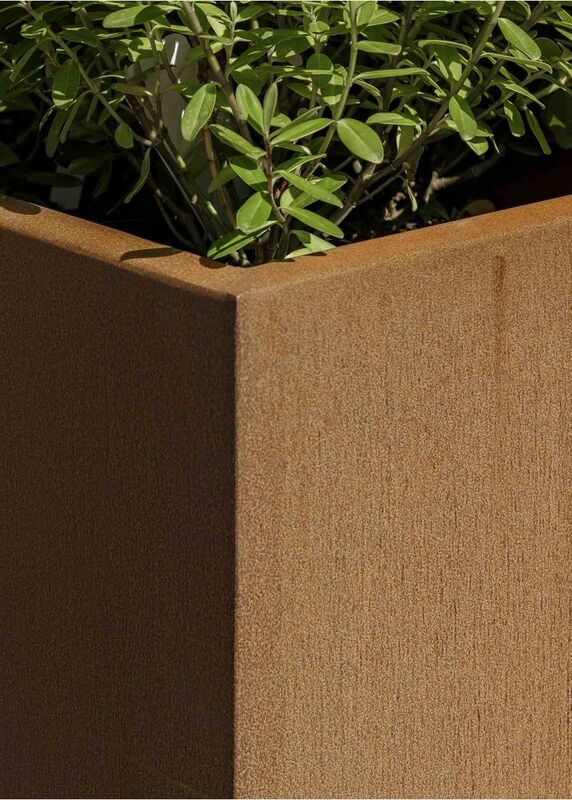 They are increasingly popular in garden design, and being extremely durable and maintenance-free means they are much in demand for commercial use as well. 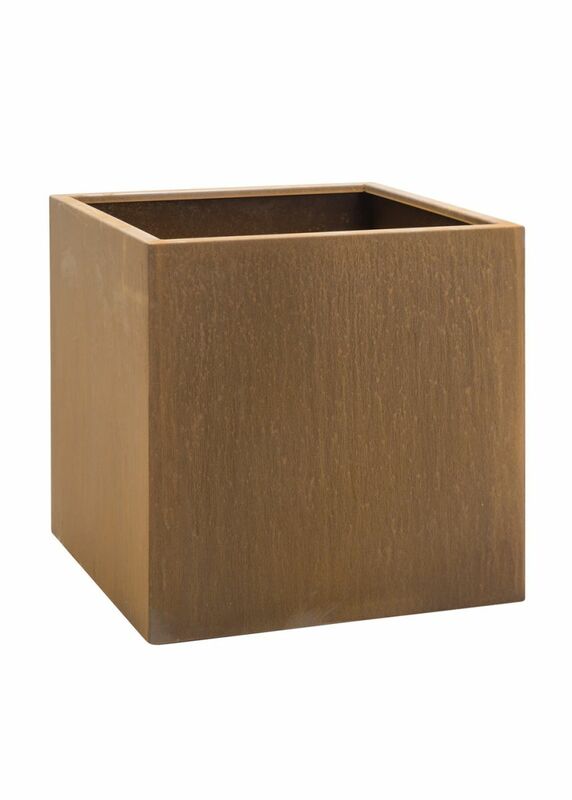 This cube planter is available in sizes from 50cm, suitable for - for example - topiary by a front door, to a 100cm cube which will take a tree. Corten is a steel alloy designed to form a dense outer layer of rust which then seals the surface and prevents further corrosion. Any damage to the surface (scrapes and scratches) simply rusts over and self-heals. The pots start out steel silver in colour, and we speed up the weathering process by applying an aging treatment, so they are delivered with a protective layer of rust already formed. This will continue to develop naturally over several months, and paving should be protected against the possibility of coloured run-off during this period. No visible welding externally, corners faired and rounded. While the rust layer forms, paving or other flooring should be protected from rust-coloured run-off which may stain. The planters have small feet to make this more practical. 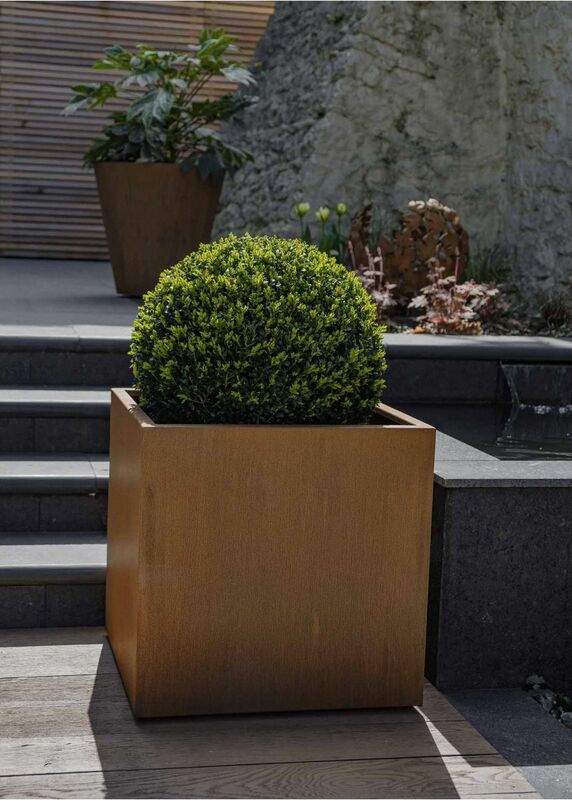 Corten planters do not require any ongoing maintenance, and are best left alone to develop their wonderful patina. 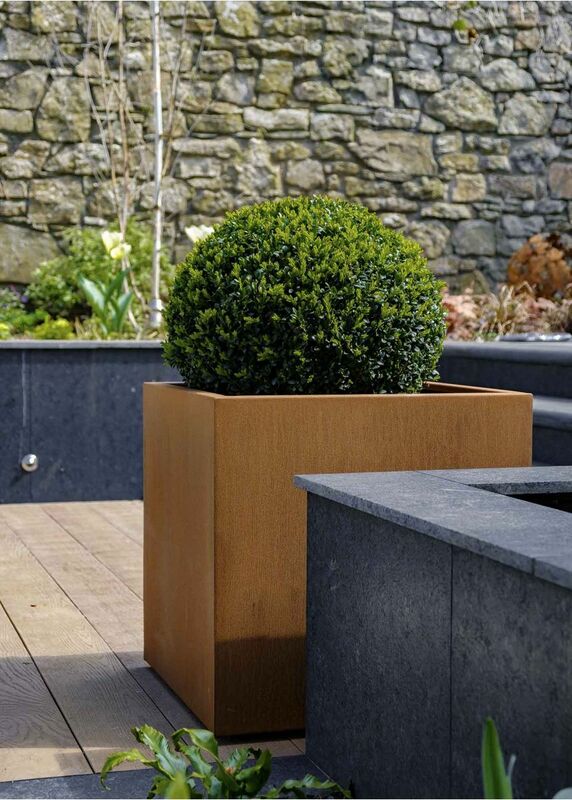 Corten planters are made to order with a delivery time of about 6 weeks. If you select pre-weathering this will add a few extra days. Due to their size and weight they are dispatched on a pallet by our dedicated delivery service, together with any other items ordered. Our pallet delivery charge is a flat rate of £40 for all orders to UK mainland destinations. For other destinations, please contact us for further information.